In a bid to educate consumers about health benefits of peanut butter, an affiliate of ConAgra Foods Inc. of USA- AgroTech Foods has organised a workshop in Kolkata. AgroTech Foods, an affiliate of ConAgra Foods Inc. of USA has recently conducted a Health and Wellness workshop to promote awareness about the health benefits of peanut butter at The Oberoi Grand in Kolkata. The workshop was hosted by Nina Singh, Senior Consulting Dietitian, Kolkata, who shared a remarkable insight about the health benefits and goodness of peanut butter. The insightful workshop highlighted lack of protein in regular Indian diet and aimed at creating awareness on how peanut butter fulfill those gaps as rich source of protein. Sharing her views, Singh said, “Peanut Butter is a healthy option to meet your daily protein requirement. Additionally, it is easily digestible, high in energy, good fats and nutrients without any downsides. I recommend peanut butter as a tasty and healthy alternative to people across all age groups for complete nutrition everyday”. 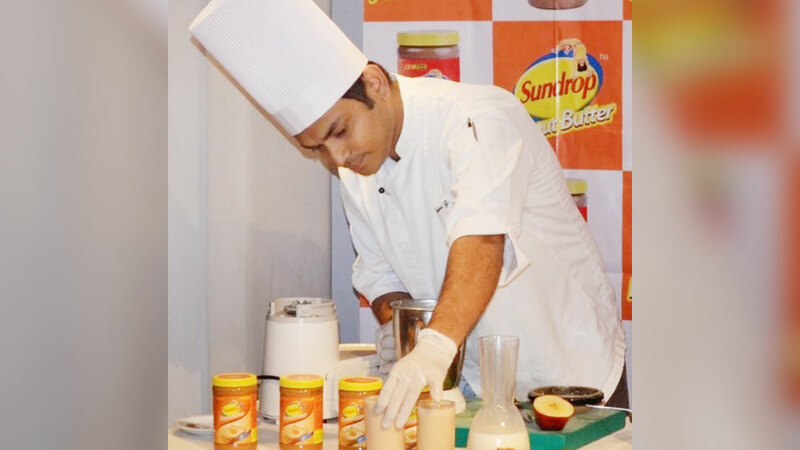 The event also witnessed demonstration of healthy and interesting peanut butter recipes by a chef. Significantly, peanut butter has high contents of monounsaturated fats, which may help reduce levels of bad cholesterol. It is also completely devoid of trans-fat and cholesterol. Moreover, it has high levels of protein – say about 25g upto 100g, contributing significantly to higher physical endurance and muscle development. It also has good contents of fibre about 5g to 100g, folates, and resveratrol, a component reputed to be anti-inflammatory and anti-carcinogenic. Enriched with thiamin or vitamin B1, riboflavin or vitamin B2, niacin or vitamin B3 and vitamin E, peanut butter is mineral-rich in copper, magnesium, potassium and zinc. It also provides same benefits as derived from consuming nuts such as lowering risk for coronary heart diseases and diabetes. New medicine for common liver disease..